Beyer Carpet Cleaning is leading the carpet cleaning industry in San Antonio. So what makes them the best carpet cleaner in San Antonio? Well, it all starts at the top with a leader who is all about pushing Beyer Carpet Cleaning to be the best carpet cleaning company in San Antonio. Josh works tirelessly, along with his wife Christina, to bring the best to their company. When they are bringing their “A” game it trickles down to the technicians and then to the customers. Leading by example and providing the best environment for, not only themselves, but for their technicians and contractors it brings out the best in everyone. Having great leaders and technicians can sometimes not translate into great customer service. This is too real for some carpet cleaning companies but Beyer Carpet Cleaning is a locally family owned and operated carpet cleaning company so they can keep up with their technicians and customer to provide the best carpet cleaning experience. Customers experiencing the best in carpet cleaning is what matters in order for business to thrive and technicians being the best is what keeps customers coming back for more! 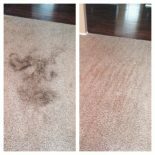 Not only is service the best but Beyer Carpet Cleaning San Antonio also provides the best carpet cleaning prices in San Antonio. They are constantly posting the best coupon specials any carpet cleaner in San Antonio can offer. Yes, there are carpet cleaners who advertise or claim to offer the lowest prices but what are you really getting? Many of these offers are a bait and switch. So many carpet cleaners will show up to your order while your expecting a certain price then the next thing you know your bill has tripled and you’re not sure how! They come in knowing you’re going to need certain things like spot treatment for stains or deodorizer to freshen up the carpet. These basic necessities most carpets need is how they get you because that cheap price you thought you were getting is actually just a steam clean. A steam clean only cleaning is basically just putting hot water into your carpet without taking care of the stains or condition of the carpet. With Beyer Carpet Cleaning they know that you want the best carpet cleaning you can get for the best price. Because Beyer Carpet Cleaning is a family owned company they don’t have a crazy expensive overhead so they can pass along the savings to their customers. When Beyer Carpet Cleaning advertises a price they tell you up front what you are getting for your hard earned money so there are no surprises when they arrive to your home. 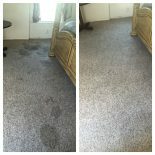 Beyer Carpet Cleaning always includes spot treatment and deodorizer for common spots and stains in their cleaning at no extra cost because it’s needed! This is the only way you’ll get the best cleaning possible and the best results. Beyer Carpet Cleaning doesn’t try to oversell or try to convenience you need services that you don’t need. 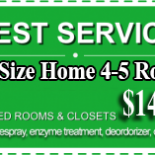 They’ll offer a service that may be beneficial such as pet treatment if you have pet stains or odor but in the end they will not push the service. They will recommend it and let the customer decide if he/she wants to include the service. Having the best carpet cleaning in your home is what you want and are looking for. Don’t settle for less than the best carpet cleaning San Antonio has to offer. Use the best and call Beyer Carpet Cleaning today! Professional Carpet Cleaning in San Antonio, for the low price of $149 for qualifying mid size houses with 4 or 5 rooms to clean.